Playhouse Disney Live! 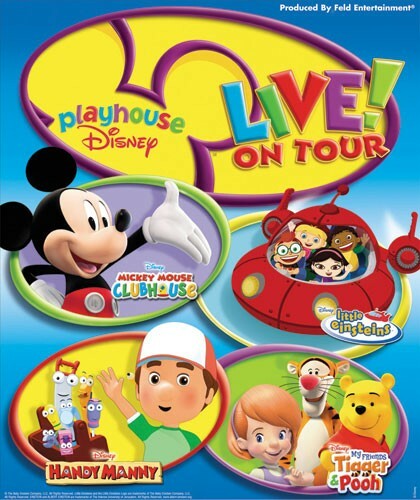 on Tour A stage musical celebration featuring characters from Playhouse Disney shows—Mickey Mouse Club, Little Einsteins, My Friends Tigger & Pooh, Handy Manny. It premiered on August 25, 2007, in Lakeland, Florida.